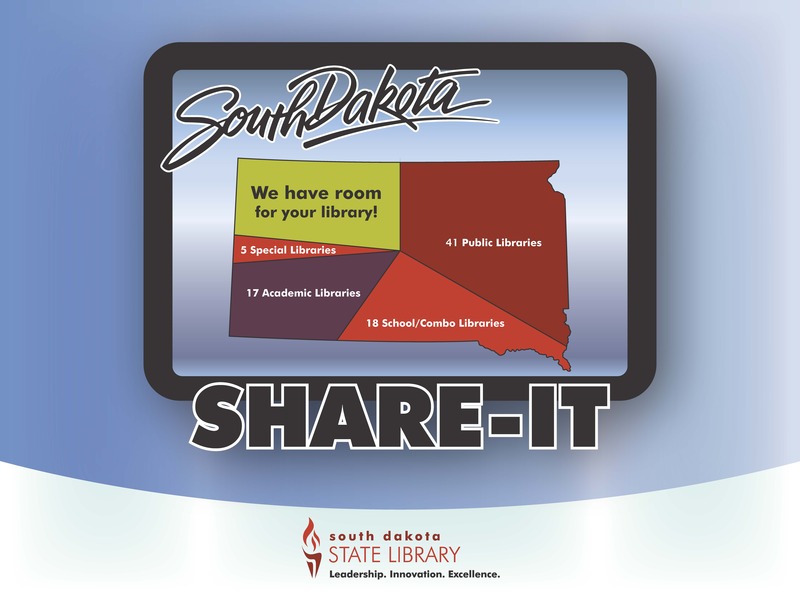 The South Dakota Share-It network allows users to search library catalogs wherever they have internet access. Authenticated users (users holding a valid library card at a participating library) will be able to search the catalog + the subscription e-resources provided by the South Dakota State Library. All other libraries and patrons that have a South Dakota State Library barcode/password will be able to login and search the subscription eresources. If your library is automated, your catalog may be included in South Dakota Share-It. 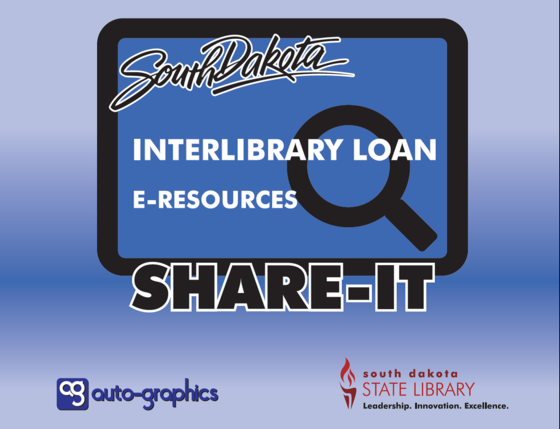 South Dakota Share-It allows individual libraries to have their own ILS (integrated library system/catalog) and still be able to search multiple catalog and electronic resources at one time, as well as participate in statewide interlibrary loan. You will need an ACCESS KEY. Please email Nina.Mentzel@state.sd.us to request one. Use these procedures to request an item through South Dakota Share-It. Use these procedures to request an item that is NOT owned (or not loanable) by any libraries in the South Dakota Share-It system. Request will be processed through OCLC (out of state) and may take additional time to fill.